Takeaway: An ergonomist can majorly transform your workplace — here's how. Ergonomists are trained to analyze all aspects of the workplace to ensure work environments fit with the attributes of the people doing the work and that jobs can be done safely, comfortably and efficiently. While it is a relatively new science, ergonomics draws from aspects of engineering, physiology, biology, biomechanics, sociology, and psychology. A trained ergonomist can transform your workplace and improve efficiency, safety, and of course, the comfort of your workers. There are three general types of ergonomics. Physical ergonomics studies all aspects of the physical load on the human body as a result of the work it is doing. This can include repetitive motion, materials handling and posture, among others. (Learn more in Pushing, Pulling, Lifting: Ergonomic Best Practices To Follow To Avoid Injury). Cognitive ergonomics look at ensuring that human-system interaction is compatible with workers’ cognitive abilities and limitations. It is especially important in workplaces with complex, high-tech or automated systems. Organizational ergonomics looks at socio-technical systems in the workplace and is concerned with optimizing workplace communication, crew management, work systems, scheduling, task rotation, and other organizational issues. While an ergonomist may specialize in one of these areas, you can hire generalists who will consider each of these aspects. (Learn more in 8 Key Areas of of Ergonomics Employers Must Consider). While the hiring of an ergonomist to assess your workplace is often associated with employee comfort, it can pay off in numerous other ways. Here are 6 ways an ergonomist can help you improve your workplace. Jobs that are monotonous or require excessive use of force or awkward positions can be the source of a variety of physical risks. The continued strain of this type of work can reduce productivity. By ensuring your employees’ comfort, you’ll also be ensuring they are less fatigued, and their body is focused on the work rather than directing its resources to deal with the strain of the work. In turn, this will allow them to work faster and more accurately. Heavy use of force in a job tends can also slow workers down. There are a variety of solutions that your ergonomist might suggest including mechanical assists, heavy lift tables and powered equipment that can help you reduce the effort and exertion of heavy lifting. Repetitive tasks contribute to fatigue on the job and slowdowns. This is especially true if combined with high force or awkward positioning. Again, the ergonomist can suggest solutions, including the repositioning of workstations. This one is fairly simple. Fatigued and frustrated workers will not do their best work. They are also more prone to errors. Numerous studies have linked ergonomic improvements to decreases in errors and reworking of products alongside increases in the level of quality in products. This results in significant cost savings for the companies involved. For example, ergonomic redesign at one company resulted in errors in reprocessed parts being reduced by 22% and rejected parts by 45% and in another company, motherboard defects were reduced by 67%. Employees who are having their physiological needs met and are more comfortable in the workplace are less likely to disengage. Training on ergonomic issues and best practices can also greatly improve employee engagement. But there is also an opportunity to engage employees through the use of a participatory ergonomics program led by an ergonomist. In this type of program, workers from various departments are brought together to report, discuss and problem solve ergonomic issues affecting their jobs. This has the benefit of involving workers in the decision-making process and in solving ergonomic issues that matter to them while also providing the company with an opportunity to engage workers. Safety is an area often linked with ergonomics. Musculoskeletal Disorders (MSD) are the most common workplace injury and involve strains and sprains to muscles, tendons, ligaments, joints, and nerves. The three highest risk factors for these types of injuries are awkward posture, excessive force and long duration or frequency of a task. Hiring an ergonomist can help you prevent or limit exposure to MDS but also to a host of other safety concerns. The ergonomist will assess the physical, cognitive and even organizational aspects of your workplace to ensure you reduce discomfort and safety risks. A risk assessment will be conducted and could include observation, interviews and a review of job descriptions. Once your specific risks are identified, the ergonomist will make recommendations that could include rotating tasks, changes to the physical environment and training to ensure your workers understand the ergonomic risks of their job and how to avoid them. At the organizational level, ergonomists can work with you to create practical safety solutions such as appropriate work and rest ratios to reduce fatigue and enhance productivity or organizing rest breaks and job rotations that keep the production line humming but keep fatigue and frustration to a minimum. At the corporate level, they can help you encourage a company culture that recognizes the importance of ergonomics and help you create supervisory mechanisms that both monitor and encourage good ergonomic practices. Caring about the physical and mental health of your employees and improving their workplace makes work a more positive experience for your workers. This translates into happier workers, and happier workers are more likely to want to stay, saving you the frustration and cost of locating, hiring and training new workers. But ergonomic changes can also help you recruit new workers when it is necessary to do so. Word gets out, whether by your people talking or through anonymous sites such as Glassdoor, that your company cares about worker safety and comfort. Ergonomists can also help you significantly reduce costs at your company. 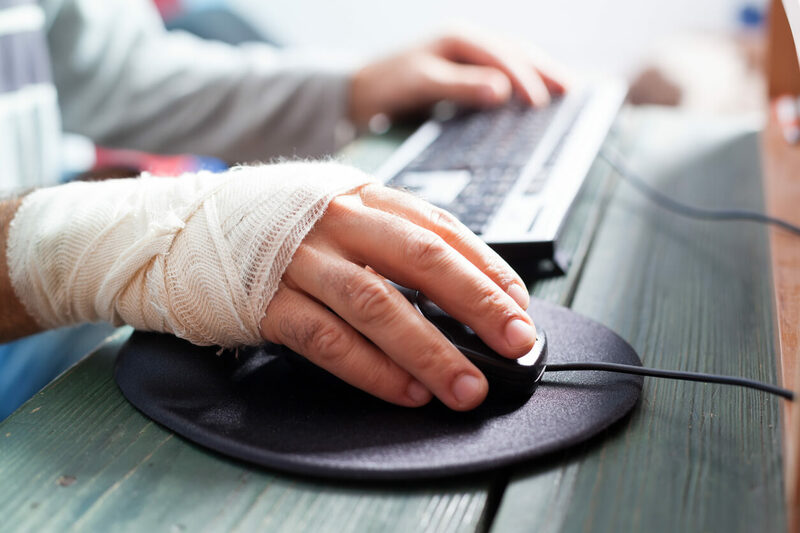 Good ergonomic practices and good ergonomic design in the workplace have also been linked to reduced absenteeism along with reduced health care utilization costs and injury-related costs. Combine this with reduced employee replacement, training, and on-boarding costs and increased productivity and quality, and investing in an ergonomist might be the best decision for your bottom line.